Sydney Forensic Cleaning provides comprehensive, prompt and reliable Forensic Cleaning and Specialised Cleaning services to all of Sydney’s Eastern Suburbs including Forensic Cleaning, Clandestine Drug Lab Remediation, Unattended Death Clean Ups and more. Sydney Forensic Cleaning is the industry leader in the clean up, decontamination and remediation of bio-hazard affected properties in Sydney’s Eastern Suburbs. We specialise in forensic cleaning services including clandestine drug lab remediation, crime scene clean ups, blood and trauma clean ups and forensic cleaning. Sydney Forensic Cleaning offer a 24/7 emergency forensic cleaning and specialised cleaning service with trained and experienced forensic cleaning technicians. Our highly experienced and trained specialist crime scene technicians harness years of bio-remediation experience on each and every job. At Sydney Forensic Cleaning, our number 1 objective is to compassionately, discreetly and safely decontaminate and remediate the crime scene, trauma scene or bio-hazard scene to a safe, biohazard free, habitable condition. Sydney Forensic Cleaning has a team of internationally trained and certified crime scene and bio-hazard remediation technicians, able to successfully remediate any job. 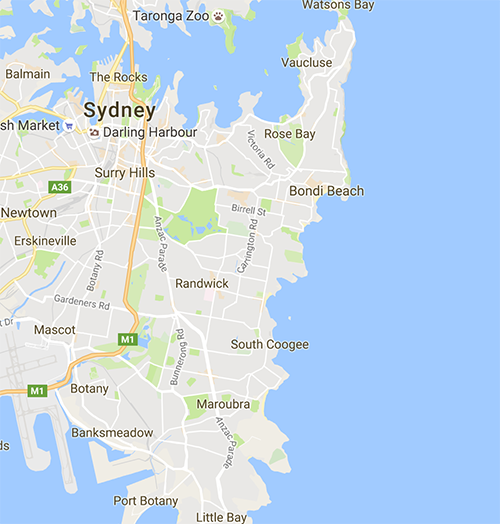 Blood and Trauma Clean Up Eastern Suburbs: If you require a blood and trauma clean up in the Eastern Suburbs, Sydney Forensic Cleaning has trained and experienced technicians available to successfully remediate any scenario. Deceased Estate Clean Up Eastern Suburbs: Sydney Forensic Cleaning we will manage the clearing and cleaning of the deceased estate in the Eastern Suburbs with the flexibility to tailor our services to suit your needs. Executors and beneficiaries benefit from our experience and personal service. Forensic Cleaning Eastern Suburbs: The comprehensive Forensic Cleaning services provided by Sydney Crime Scene Cleaners in the Eastern Suburbs combines a wealth of knowledge and training coupled with tried and tested specialised procedures. Gross Filth and Hoarders Clean Ups in Eastern Suburbs: Sydney Forensic Cleaning work along side social services and insurance companies to provide the most efficient and effective mean of decontaminating and remediating a hoarder property. Sewage Clean Up in Eastern Suburbs: Our team of specialised Sewage Clean Up technicians have the relevant training, extensive on-the-job experience and will utilise the latest state of the art innovative equipment and remediation techniques to confirm a successful Sewage Clean Up each and every time. Suicide Clean Up Eastern Suburbs: All of the technicians at Sydney Forensic Cleaning are thoroughly trained and complete ongoing professional development to ensure we provide expert Suicide Clean Up and Crime Scene decontamination.